Earthy butternut squash is complemented here with creamy Gorgonzola and crunchy almonds. The vibrant combination of colours in Gary Jones' dish make it a perfect dinner party choice. Once the pasta has rested, bring to room temperature and roll on a pasta machine through each of the settings until you get to the lowest one. Cut the pasta into 10cm squares. 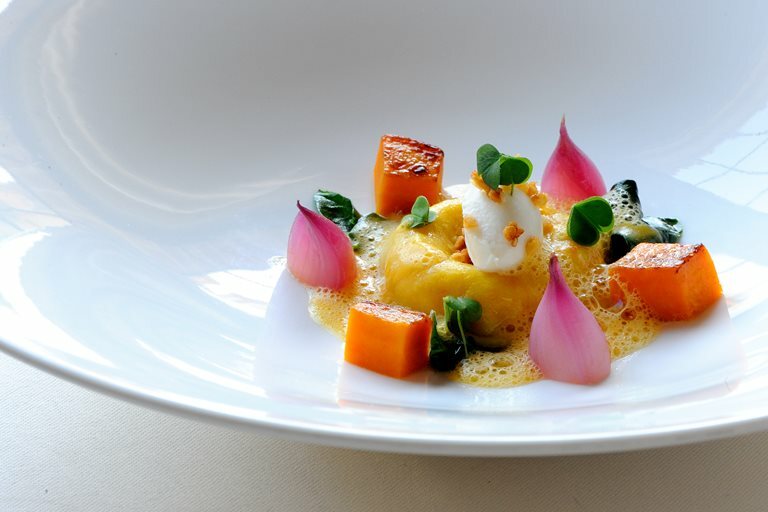 Executive Head Chef Gary Jones has led the kitchen at Le Manoir aux Quat'Saisons since 1999.